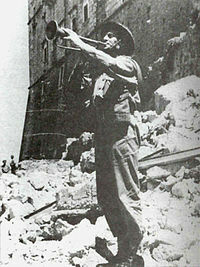 The Polish flag flies above the ruins of Monte Cassino, Italy, 18 May 1944. In July 1945 the British government withdrew recognition of the Polish Government in Exile (a government that had been housed in London since 1939 supporting the cause of freedom for the world and for Poland) and went on to then recognize the Russian backed government in Poland. As if this was not an insult and shock enough for the Poles who had fought so bravely and given so much in the fight against Nazi Germany, the British, under pressure from Russia, went on to at first refuse Polish forces permission to march in the Victory Parade in London and then try to placate them with a partial presence which of course they did not accept - not even the brave surviving Poles of the RAF squadrons who had played such a vital part in the Battle of Britain - a tragic and forgotten smear on our past. This left the British with just one more problem - what to do with the large Polish Army still camped in Italy. The choices were to send them back to Poland - where thousands would undoubtedly be executed as the 14,000 Polish officers and intellectuals had been at Katyn in May 1940 by the Russians - or to assimilate them in Britain. It was decided to take the latter option - no doubt through necessity as certainly many Poles would have refused to return to a now Russian controlled Poland, a Poland they had fought to free from Nazism and now saw handed to the Russians on a plate. 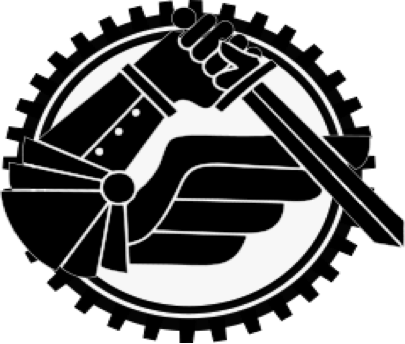 2nd Polish Corps "Syrenka" cloth arm badgeFrom 1946, the Polish Resettlement Camps (PRC's) were opened in around 200 former army barracks, military hospitals, former RAF bases and ex prisoner of war camps across the United Kingdom. Some Poles did decide to return to the now communist controlled Poland - many were arrested as soon as they arrived and never saw their families again. However, some 125,000 decided to stay in the UK and make a new life for themselves. It was from these people that many families are descended and why so many in our communities now have a Polish surname. Over the period to 1949 the total number swelled to over 200,000 as more Poles discovered that was now no free Poland to return to. They came from Displaced Persons Camps from India and and Africa, from liberated Concentration Camps in Germany and France and from forced labour in factories across the former Nazi occupied Europe. 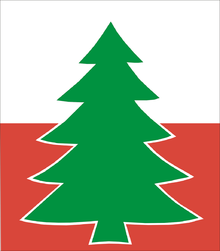 The largest number however came from Polish 2nd Corps which as part of the 8th Army, had fought in various formations in North Africa, Italy and France. Of course other nations welcomed the Poles with open arms - the USA, Canada, Australia, New Zealand and Argentina to name but a few. Many of the Poles that arrived in England in 1946 had had unbelievable journeys. Some had been in the Polish Army when they were over run in 1939, made their way to either France - where they had fought in 1940 and forced out at Dunkirk. Others had escaped to North Africa and joined the Polish Corps that formed up in Syria and still more had walked from Siberia where Stalin had interned them after his invasion of Poland but then released them to fight when Nazi Germany invaded Russia in 1941. Of course all had left their families and loved ones in some way in 1939, ruptured from their lives and who had seen friends and relatives murdered by the brutality of the Nazi state. But wherever they had come from and however they had arrived at that point, one battle joined the men & women of 2nd Corps in May 1944 - Monte Cassino.. In January 1944 allied forces of the British 8th Army under Montgomery and the American 5th Army under Mark Clark were driving their way northwards in Italy. South of Rome was the heavily defended Gustav Line which the Germans had been building for two years for just this eventuality. There was no way to outflank this line and so it was a question of where to try to break it. 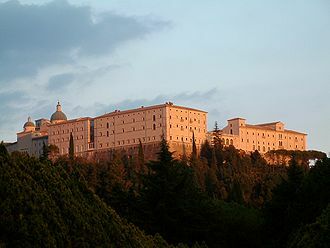 The most direct route was up Route 6 to Rome via the town of Cassino - overlooked by the Monastery. The Benedictine monastery had been built in the 6th century AD on top of a 1,700 foot hill overlooking all the valleys and villages of the Rapido Rover. There were in total four battles of Cassino. Starting with the Americans in January and then the New Zelanders in February. These attacks all failed with very heavy casualties as all movements could be observed from the Germans occupying the Monastery. Monte Cassino town and all the surrounding landscape became locked in a desperate battle and quickly resembled the chaotic destruction of smashed and burning towns and shell holes. In the third week of March the 3rd battle began. Again the New Zelanders attacked with their well known courage and grit but also Gurka's and an Indian Division. However it was not until mid May that the fourth and successful attack was made and it was the Poles of 2nd Corps, after 5 days of bitter fighting and 2,000 deaths, that finally hoisted their flag on 18th May 1944 Iwo Jima style over the Monastery. 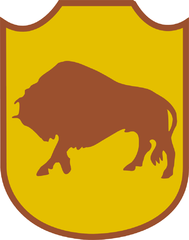 The Polish Corps came under the command of Bernard Montgomery and was formed of two infantry divisions (the 3rd Carpathian and 5th Kresowa and all their supporting elements) and the 2nd Polish Armoured Brigade plus one bear - the famous Wojtek. They had men that had trained and fought since 1939, that had walked from Siberia, fought in France and North Africa and that had escaped from the German's and all had one thing in mind - killing Germans and taking the Monastery. On 18th May 2014 a very large 70th anniversary memorial service will be held at the cemetery where 2,000 Poles lay buried who fell taking the hill and Prince Harry will be attending. 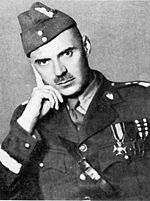 They are buried alongside their commander Lt General Wladyslaw Anders who, after living in London for the rest of his life, asked to be taken back to Monte Cassino to be buried with his troops when he died in 1970. I had the pleasure of meeting his wife on many occasions when I worked in London and it was clear that the reverence with which Anders is treated by the Polish community even today, is well deserved. Some of those that survived that battle and the rest of the fierce fighting in Italy, went on to land at Normandy, fight at Falaise and fought right up to the end of the war. Others were those men that came to The United Kingdom in 1946. In Norfolk this specifically meant eight camps in and around the Thetford area. Altogether in Norfolk we can estimate around 3,000 Polish troops arrived in the first phase. Between 1946 and 1950 it took 50 or so large troop ships and 25 rail transports to bring the Poles and some of their families from Italy to England. An advanced guard of men for each of the 200 camps found conditions very variable. Many were is a complete state of disrepair, most were corrugated iron and asbestos roofed barracks, few facilities and no hot water. These organising troops did their best with few resources to make these camps habitable as the men and their uniforms, equipment and even families arrived. Over time the Poles, just as they do now, worked hard to make the camps like small villages and towns. Each had its own school as soon as practical along with gardens and vegetable plots. Local administration helped to integrate these men, many with such tortured and heroic backgrounds, into Norfolk life. Few that met them, as now, had any idea what most had seen and experienced. They were thought of as charming, polite and hard working young men who would take any job. During the 1950's The National Assistance Board negotiated with local landowners to build more permanent homes for families and the MOD released numerous camps for permanent prefabricated housing. 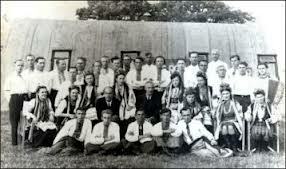 Of course, during the 1950's and the Cold War they hoped that they would return to a liberated Poland - all were prepared to fight and retained the hope that one day they might go home and see families that they last saw on a day in 1939 when they were either captured or forced to run so that they could return and fight. 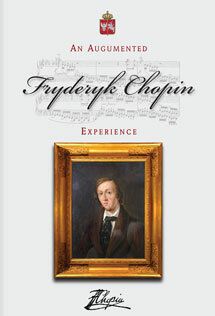 "The Camps became Polish enclaves hidden in the rolling hills and plains of rural England. The Poles followed their customs and traditions. Children were taught to speak, read and write in Polish. They learned Polish history. They danced and sang in Polish folk groups, performed in Polish plays and celebrated national achievements in solemn yet joyous celebrations of National Days." In the early days contact with the local population was limited and experiences varied. In some areas the Poles were welcomed and successfully integrated, learnt English (harder for the adults than the children) and married local girls and began their new lives in a country that ten years previously they knew very little about. The children and grandchildren of those first families are scattered in good numbers all over the United Kingdom and in Norfolk as much as anywhere. In other areas of course they were resented, jobs were protected for local men and no effort was made to understand what these people were doing there let alone who they were. 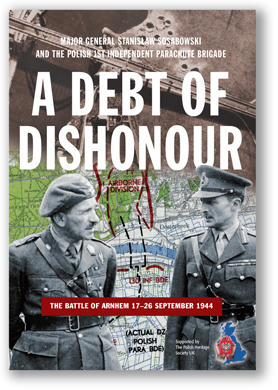 Famous cases in London were where former Generals such as Stalislaw Sosobowski whose Poles parachuted into and fought at Arnhem could only get jobs as waiters or in his case a factory worker. His troops would salute him on the streets and and stand to attention when he passed them on his way to his warehouse. No special consideration was given, offered or even thought of whether a General or a private. By the mid 1950's there were still 50 camps in use - larger ones that had assimilated the smaller ones - and the last camp closed in 1969. The Polish spirit infused and mixed with the Norfolk one and on the 18th May in Monte Cassino we should reflect just for moment on how the Poles came to this country and began a new life with us and what sacrifices they made alongside us for the freedom we all enjoy today.